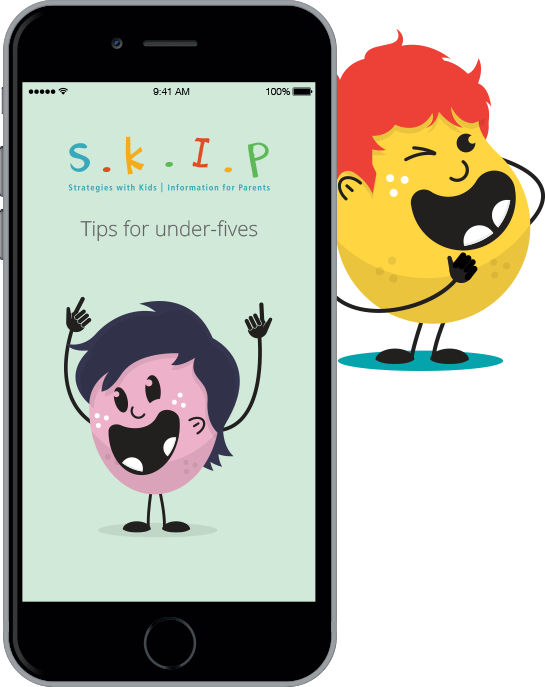 Want to find out more about SKIP (Strategies with Kids, Information for Parents)? Check out our website. It's free. And it's designed by parents, for parents. Lots of simple effective tips for handling stuff all parents of preschoolers find stressful – issues like tantrums, toileting, whining and more. Whatever you’re struggling with, SKIP Tips has it covered. Scroll through common pre-schooler problems that stress every parent out – like tantrums, toileting whining and more. Once you’ve selected your problem, you can flick through lots of short simple tips to try, tested by parents. Tap on each for more information on how to put it into practice. (Don’t forget every child is different so if one tip doesn’t work for your child, just try another). Is there something about your parenting you’d like to change? The SKIP 7 day challenge is for you. Try it for just one week, it really can make a difference! You’ll get daily customised reminders and encouragement to keep yourself on track, and a check-in at the end to see how you did.